Company Sergeant Major A.B. Swallow of 470th Field Company, Royal Engineers. KIA 21st March 1918. 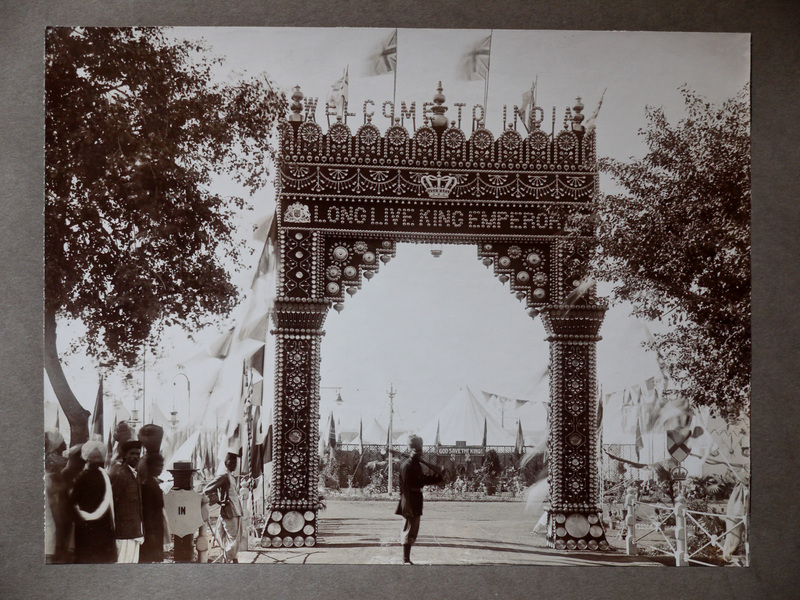 One of the ceremonial gateways built at the Delhi Durbar, December 1911. 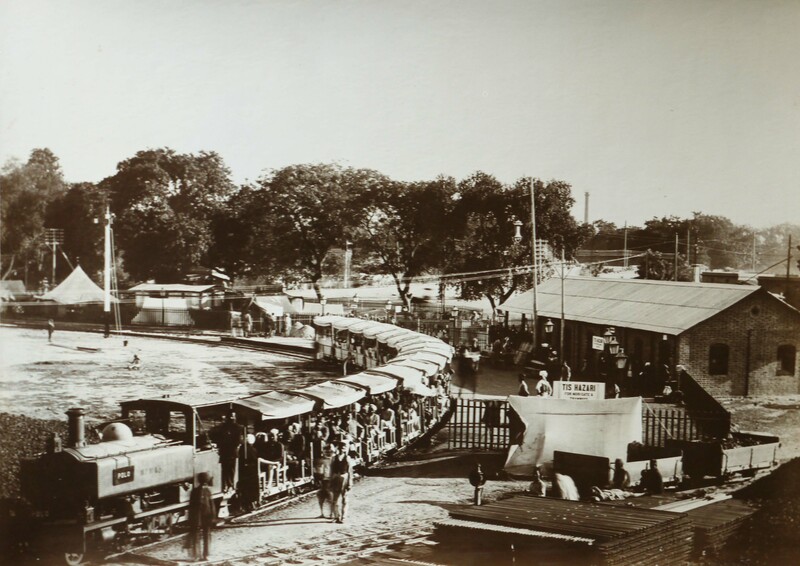 Narrow gauge railway train carrying visitors to watch the ceremony. 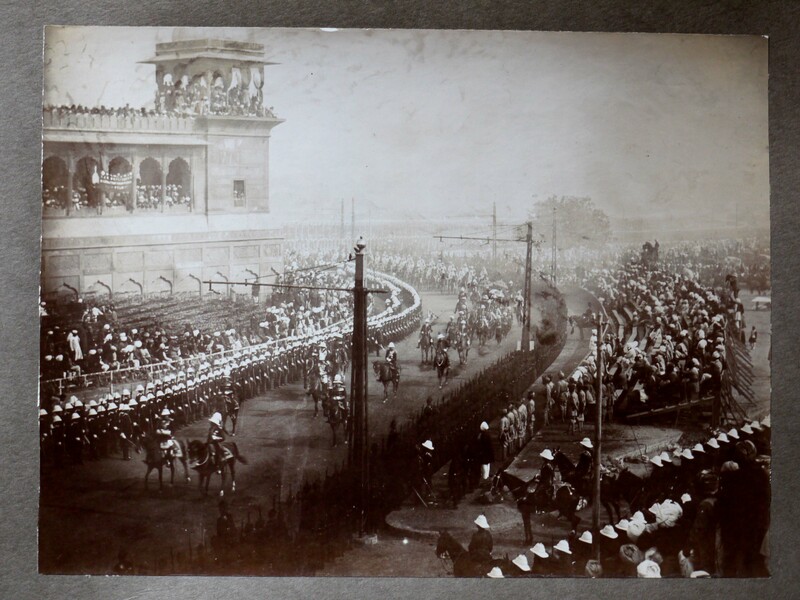 At the Delhi Durbar, 1911, a picture of the ceremonial procession bearing the King and Queen to the ceremony. 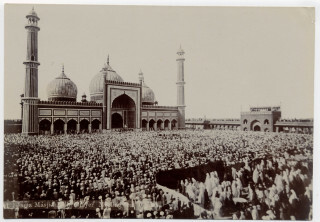 Crowds gathered in front of the mosque, during the Delhi Durbar. 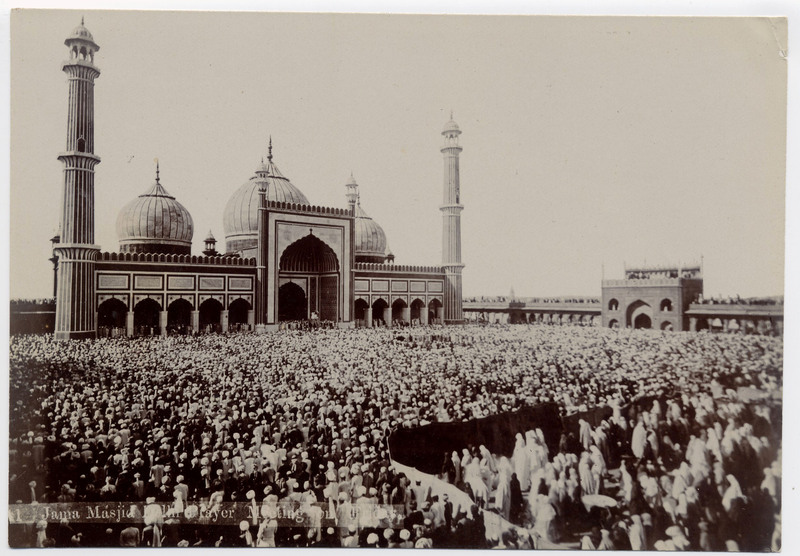 Crowds watching the Durbar ceremony in which the King and Queen are seated beneath the ceremonial canopy. CSM Alfred Bailey Swallow posed with fellow officers at a rest or training camp, location not known. A group photograph of 470th FCompany, location unknown. 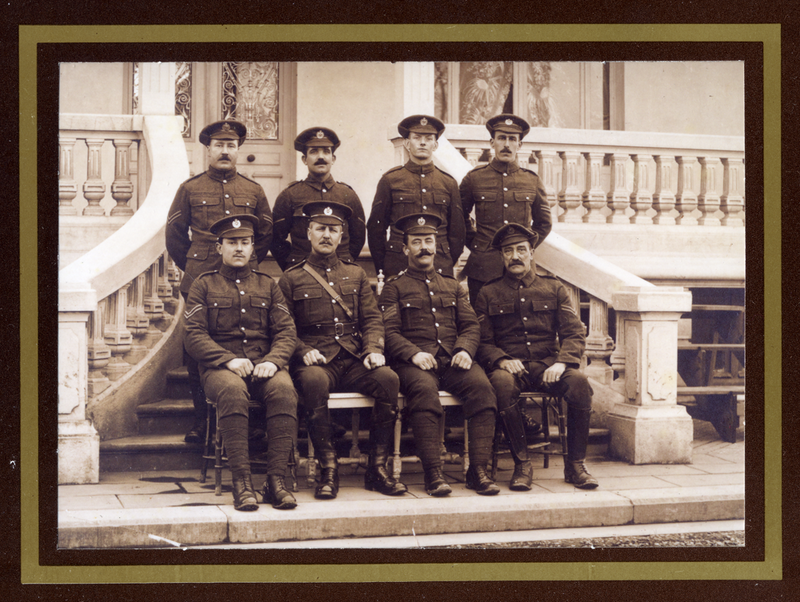 Alfred Swallow is on the 3rd row 11 from the left, seated next to the Commanding Officer. 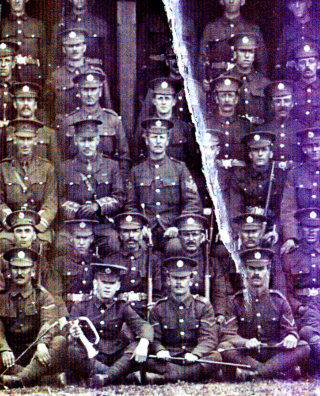 Also in the picture, 2nd row, 7th from left, is 2nd Lieutenant Douglas Gordon Kemp, who also lost his life. Here, CSM Alfred Swallow is clearly seen seated to the left of the Major at the centre of the picture. 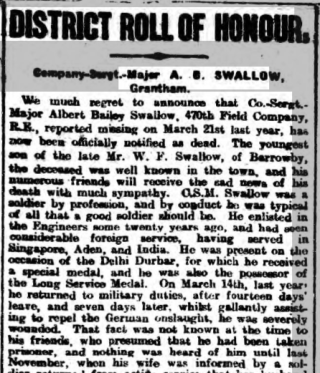 Picture of Alfred Swallow displayed by the Grantham Journal as part of its work to commemorate deaths of all local men killed during the First World War. The text that accompanied the portrait photograph in the Grantham Journal, 1918. 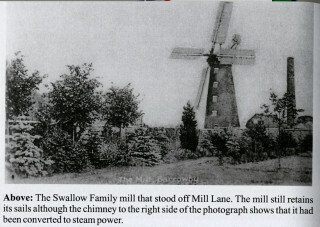 Old newspaper photograph of Barrowby Mill, owned and operated by the Swallow family. Barrowby old school house seen from the church tower. 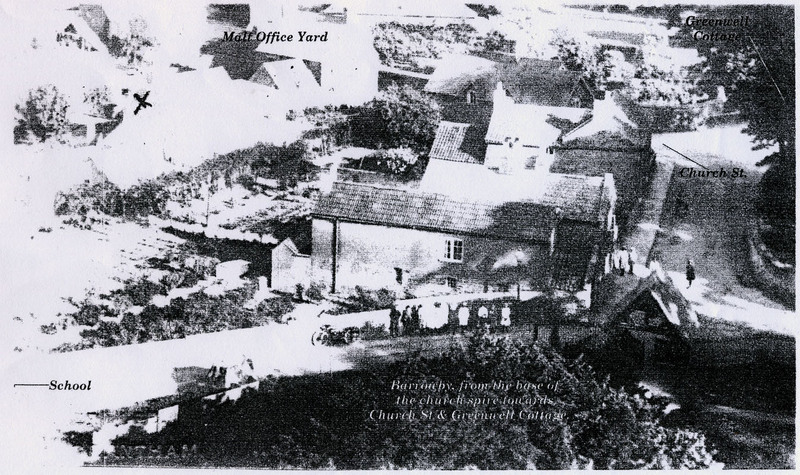 This is a scan of a poor quality photocopy of an old picture looking down from the parapet of the tower to the school and school-house of Barrowby village school. Please note that, in addition to the following account, an excellent biographical record is provided by Lincolnshire County Council on the website lincstothepast. Alfred Bailey Swallow was the grand-father of Mrs Viv Finch, who has lived in Bottesford for many years. 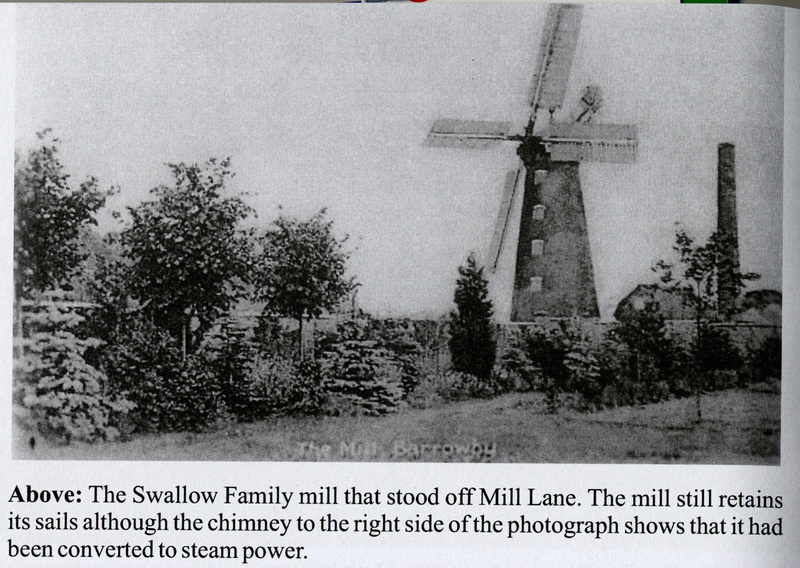 The family come from Barrowby, Grantham, and the Swallows were well known as operators of Barrowby Mill, to which they added Spitalgate Mill and Manthorpe Mill. 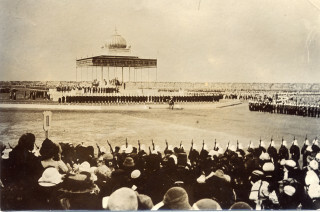 Alfred enlisted well before the outbreak of the First World War, and served in India where he was honoured following his role in the Delhi Durbar. He joined the Royal Engineers and was posted to the Western Front. Here he was fully involved in the fighting, and lost his life along with most if not all of this fellows when they were overwhelmed by the opening German advance of the 1918 Spring Offensive. Sadly his remains were not recovered, and there was the nagging possibility that he had been taken prisoner and might return when the war ended. This was not to be. 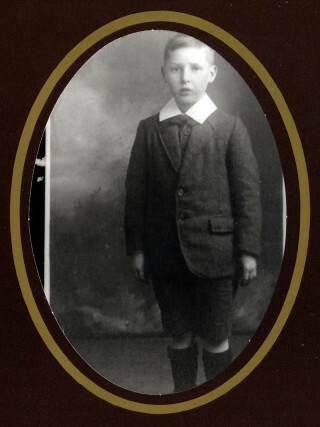 Alfred Bailey Swallow was born in 1881, in Grantham, son of Frederick William and Annie Swallow of Barrowby Mill. His father was a miller and corn merchant, proprietor of Barrowby Mill, Spitalgate Mill and Manthorpe Mill around Grantham, well known and respected amongst the community. 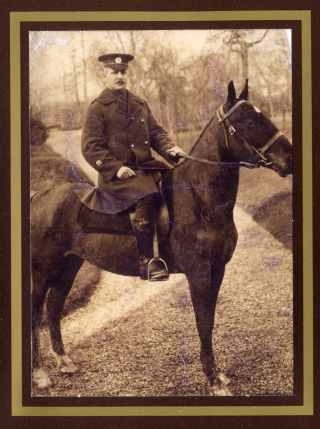 Alfred Swallow was an uncle of Corporal Lawrence Frederick Swallow, who was killed in Picardy on 1st July, 1916. He married Ethel Martha Keal in 1907, at Grantham. They had two children. Their son Alfred Claude was born 1909, in Grantham, and their daughter Bridget was born in 1913, at Devonport. The family home in 1917 was 46, Houghton Road, Grantham. The same address appears on the 1918 Red Cross Index Card. 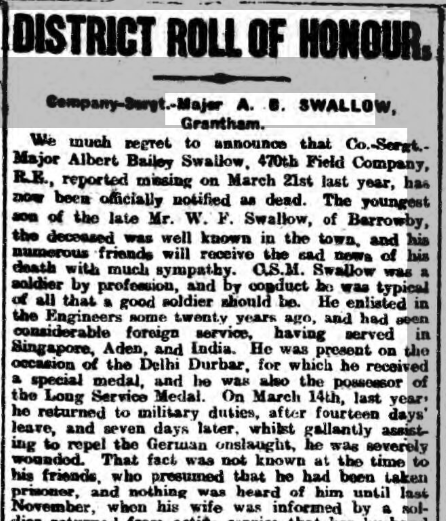 Alfred Bailey Swallow was a long-serving professional soldier. 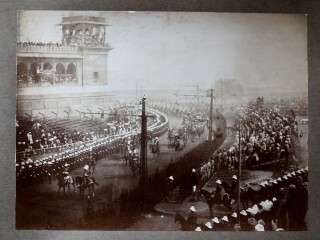 He enlisted c.1900 and joined the British Army in India, where he was present at the Delhi Durbar in December, 1911. 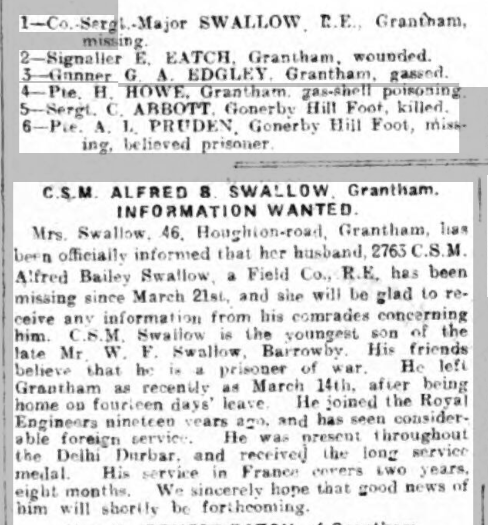 Records show that in April, 1911, he was an electrician with the Aden Section of the 3rd Sappers and Miners, and by December, 1911, he had transferred to the Karachi Section of the 1st Sappers and Miners. 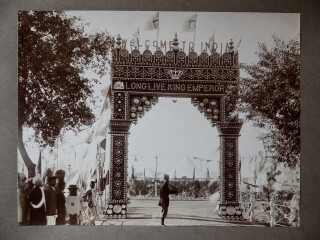 His family have pictures taken while he was at the Durbar in 1911. He entered France on 22nd August, 1915, as recorded in 1914-1918 Star Medal Roll, probably serving with the 2nd Labour Battalion of the Royal Engineers, as suggested by a photograph of the officers of this battalion which is still in his family’s possession. The 470th Company didn’t disembark in France until 26th February, 1917, so he probably joined them around this date or soon after. He became Company Sergeant Major, Service No. 2763, 470th Field Company, Royal Engineers. On March 21st 1918, in the Battle of St Quentin (First Battle of the Somme, 1918), the 470th was caught between converging columns of enemy troops and was decimated apart from one Lieutenant and a small group of sappers who were able to escape back to Brigade HQ, and a few more taken as Prisoners of War. Sadly, CSM Swallow was killed in this action alongside his fellow soldiers. His remains were not recovered. 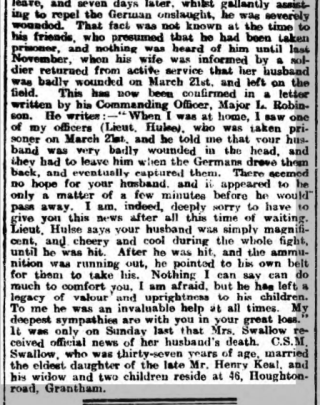 The family were unwilling to believe that he had died, and issued an appeal for information about him (Grantham Journal 1918). They also approached the German Government via the Red Cross, to see if he was being held by them, hence the ICRC PoW Index Card. Howeveer, the card shows that a negative reply was received on 10th June, 1918. 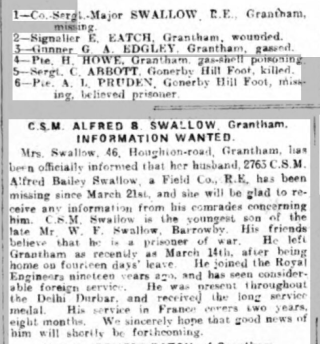 His death was confirmed later (Grantham Journal, 1919), and In Memoriam notices were published every year in the Grantham Journal until 1940. Decorations: Long Service and Good Conduct Medal, King George’s Delhi Durbar Medal. From ‘The British Armies in France and Flanders, 1914-1918’, copied from the Swallow family archive. Viv Finch has allowed us to reproduce these accounts of the events in which her grandfather was killed. Further information has kindly been added by Chris Kemp, whose Great-Uncle was Royal Engineer, 2nd Lieutenant Douglas Gordon Kemp, who also lost his life during the battle. The First Battle of the Somme, 1918, 21st March – 5th April Battle of St Quentin, 21st March – 23rd March, included the Third Army, VI Corps, 59th Division 470th Field Company, 59th Division, 5/6th Corps. 470th F Coy boarded SS Archimedes at Southampton on the 24th February 1917, and disembarked at Le Havre on 26th February 1917. It went into reserve near Cambrai after terrible casualties received on 21st March, 1918. 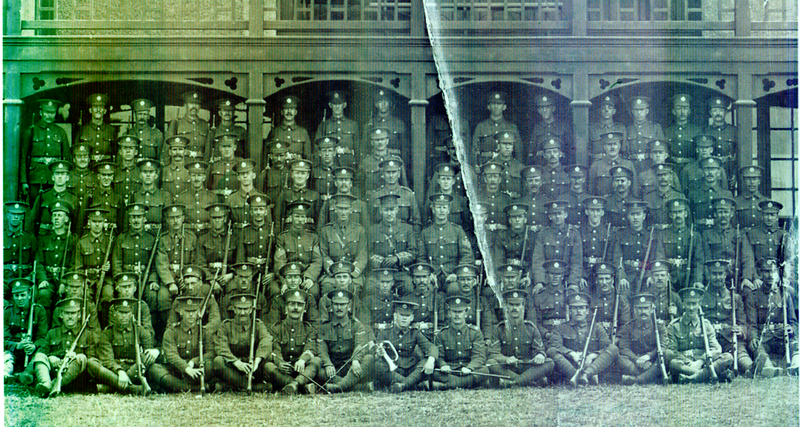 They went on to serve with 6th Corps near end of 1918, after rebuilding slowly. The First Battle of the Somme, 1918, Sixth Corps March 21st. Two companies of the 2/5 Sherwoods together with the 470th Field Coy RE were caught between pincers of this double German attack, and were entirely destroyed on the Noreuil-Ecoust road, only one officer and six sappers (in the Adjutant & Quarter-Master-General 59th Division Diary the number of sappers is given as “six”, but in the Company Diary it appears to be “eleven”) making their way to Mory. An extract from the War Diary, General Staff, 59th Division, includes the following: “There were also 3 sections of the 470th Field Company R.E. in front of NOREUIL. These troops were hemmed in by the double attack and fought to the last in the NOREUIL Switch and NOREUIL – ECOUST road, the only survivors being an officer and 6 men R.E. who fought their way down the NOREUIL Switch to VRAUCOURT.” The 2/5th Lincolns of the supporting brigade moving up to the support of their comrades were themselves involved in the tragedy and three companies were practically annihilated. Despite the entry in the War Diary for 21st March 1918 (“Enemy attacked. Company manned Emergency Post, Noreuil, but were overwhelmed. O.C. 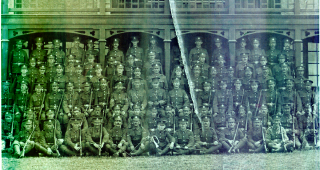 Company, Lt Wills & 11 men returned to rear HQ Mory, remainder missing including Lt W Hulse, 2nd Lts DG Kemp and J English, CSM AB Swallow”), it would appear that most of these men and of the men of the 3 sections as a whole that were deployed in the field on that day were taken “unwounded” which suggests that running out/low of ammunition, and effectively being cut off, that they eventually surrendered. 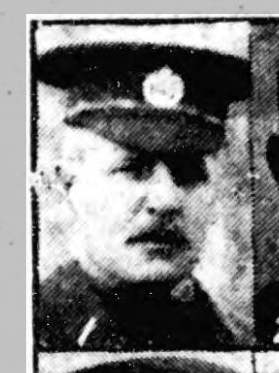 Lieutenant Hulse (appears on “exonerated officers list 14”) was repatriated on 29th November 1918, and 2nd Lieutenant English (“exonerated officers list 11”) in December 1918. There are small graveyards in Buissy area Pas de Calais including German cemeteries with UK graves. A graves registration report form gives a list of eight British soldiers who were buried by the enemy in 1918 in Queant Military Cemetery but whose graves are now lost “Their glory shall not be blotted out”, including Royal Engineer, 2nd Lieutenant Douglas Gordon Kemp. Alfred Swallow was killed in fighting near the village of Noreuil, SE of Arras, on 21st March 1918 during the first day of the German Spring Offensive known as Operation Michael, also by the Allies as the First Battle of the Somme, 1918, and as the Battle of St Quentin. http://www.1914-1918.net/haigs_michael_despatch.html Shortly before 5 a.m. on the 21st March, a bombardment of great intensity, with gas and high explosive shell from all natures of artillery and trench mortars was opened against practically the whole fronts of the Fifth and Third Armies from the Oise to the Scarpe River, while road centres and railways as far back as St. Pol were engaged by high velocity guns. Violent bombardments were opened also on the French front in wide sectors east and north-east of Rheims, and on portions of the British front between the Scarpe River and Lens. Our positions from south of the La Bassee Canal to the River Lys were heavily shelled with gas, and battery areas between Messines and the Ypres-Comines Canal were actively engaged. Dunkirk was bombarded from the sea. The hour of the enemy’s assault varied in different sectors, but by about 9.45 a.m. a general attack had been launched on a battle front of fifty-four miles between the Oise and the Sensee Rivers. Later in the day, as visibility improved large numbers of low-flying aeroplanes attacked our troops and batteries. Favoured by a thick white fog, which hid from our artillery and machine gunners the S.O.S. signals sent up by our outpost line, and in numbers which made loss of direction impossible, the attacking German infantry forced their way into our foremost defensive zone. Until 1 p.m. the fog made it impossible to see more than 50 yards in any direction and the machine guns and forward field guns which had been disposed so as to cover this zone with their fire were robbed almost entirely of their effect. The detachments holding the outpost positions were consequently overwhelmed or surrounded, in many cases before they were able to pass back information concerning the enemy’s attack. The attack being expected, reserves had been brought forward and battle stations manned. On all parts of the battle front garrisons of redoubts and strong points in the forward zone held out with the utmost gallantry for many hours. From some of them wireless messages were received up to a late hour in the day, giving information of much value. The losses which they were able to inflict upon the enemy were undoubtedly very great and materially delayed his advance. 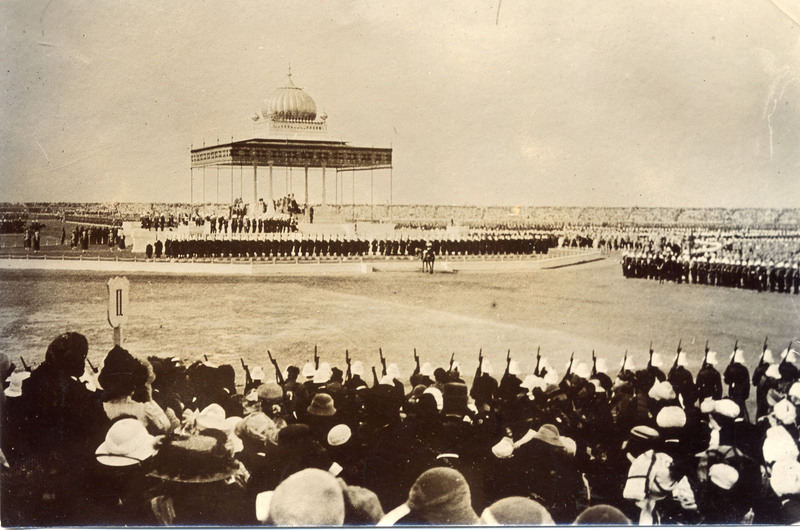 The prolonged defence of these different localities, under conditions which left little hope of any relief, deserves to rank among the most heroic actions in the history of the British Army. So intense was the enemy’s bombardment that at an early hour our communications were severed, and so swift was his advance under the covering blanket of the mist that certain of our more advanced batteries found the German infantry close upon them before they had received warning from their own infantry that the expected attack had been launched. Many gallant deeds were performed by the personnel of such batteries, and on numerous occasions heavy losses were inflicted on bodies of hostile troops by guns firing over open sights at point blank range. The following is a transcript of part of the War Diary of 470th Field Company Royal Engineers. It has been obtained from the online War Diary Search Engine http://arcre.com/wdsearch . The Diary is hand written. The writing is clear but can be hard to read. Square-brackets have been used here to indicate words that were difficult to read correctly. Capital letters are shown where they occur in the Diary: January 1918 – MONCHEAUX 1st to 31st training February 12th to 28th, ST LEGER working on trenches March 1918 ST LEGER 1st, Handing over front line U20D to 208th FIELD CO R.E. 34th Division ST LEGER 2nd, UNIT proceeds to MORY B21 b43 ST LEGER 3rd to 10th, Erection of camps & BRIGADE HQ in area. Supervision of NOREUIL SWITCH line with 176th, 177th and 178th BRIGADES C5c7.8 – C15a9.7 lining knife-rests in BATTLE ZONE, making emergency tracks, & 2nd and 3rd systems. Laying ANTI-TANK MINEFIELD at C5c5-7. Minefield 600 [yards] in length laid by Lt W Hulse. NOREUIL 11th, Sections Nos 1,2 & 4 take area RIGHT SUB-SECTOR from 467th FIELD CO R.E. C10.c.8.2 NOREUIL 20th, Unit engaged – strengthening defences in the 1st and 2nd systems, PONTEFRACT, DEWSBURY, HOBART, NOREUIL SWITCH, HORSESHOE trenches. MACHINE GUN emplacements in RAILWAY RESERVE and A.D.S. at NOREUIL. NOREUIL 21st, Enemy attacked. Company manned EMERGENCY POST, NOREUIL but were overwhelmed. O.C. Company, Lt Wills and eleven men returned to REAR HQ MORY, remainder missing including Lt W Hulse, 2nd Lts DG Kemp and JW English, C.S.M. AB Swallow. AYETTE 21st, Transport moved to AYETTE. No.3 SECT remaining at ERVILLIERS to dig line. AYETTE 22nd, No.3 SECT rejoined Coy at ERVILLIERS. BOUZINCOURT 23rd, Company moved to BOUZINCOURT by march route. PONT NOYELLES 25th, Company moved to PONT NOYELLES by march route. The following is a recent transcription (16th Nov, 2014) of a report submitted immediately after the action of March 21st in the vicinity of Noreuil. The document consists of a six page typed report of operations by 59th Division on 21/22nd March, 1918. This page was added on 22/02/2015.